Do you own a home or business with land surrounding the building? If you have not seen any weeds in your yard you are very lucky! Weeds are everywhere. One of our friends says that the one thing that will always survive, even if the cockroaches don’t, is plants and especially weeds! Controlling weeds in an Arizona landscape or lawn can be handled through proper maintenance and persistence. 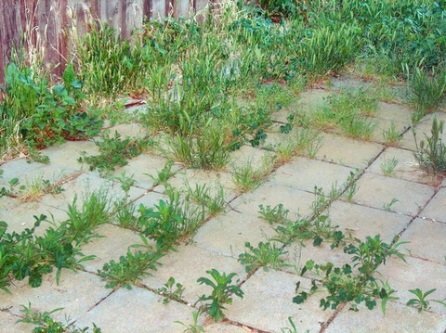 Poor maintenance of the lawn contributes to weeds getting more of a root-hold in your lawn. Just what type of maintenance is required? The biggest thing is keeping after them when they are young. When they are small and immature they are much easier to kill and require less pesticide than when they are older and bigger. There are several preventive methods to control the emergence of weeds in your lawn, but sometimes even the best maintained turf sprouts a weed or two. Maintaining a consistent schedule of feeding, watering and mowing your lawn is the best way to prevent and control weeds on an Arizona lawn. Just what is a weed? Weeds are plants growing where a landscaper does not want them. Essentially speaking, a weed is any plant that grows where we don’t want them to grow, especially plants that grow quickly. In Arizona, we are very familiar with this – take a look at most weeds in Arizona and they have spikes! They not only can take over our yard, but they can hurt when we try to pull them out! Just how can we prevent them from growing? Lawn weeds can be removed before they grow by using a pre-emergent weed killer. If you are a homeowner, a member of a Home Owners Association, or a Commercial property owner, you are undoubtedly aware of the expense and time investment of continuous weed removal within your desert landscaping. At Rid-A-Bird, we provide weed programs as well. With the simple application of a pre-emergent herbicide to control future weed seed germination and an immediate follow up with a post emergent herbicide to control existing weeds, we can have your landscape clean and weed free in no time.